The first lesson in our sushi masterclass shows you how to make tamago nigiri – a vegetarian type of sushi combining Japanese omelette with rice and nori seaweed. Before we rush into creating dishes that require fresh expensive fish, let’s start with something a little simpler – eggs. 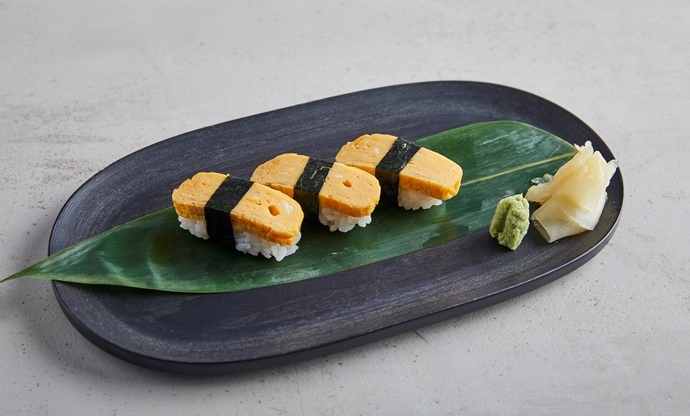 Tamago nigiri combines sushi rice with Japanese omelette, which is made in a special way to create lots of layers. Shaped together before being secured with a thin strip of nori seaweed, they’re beautiful when done right and taste fantastic too. 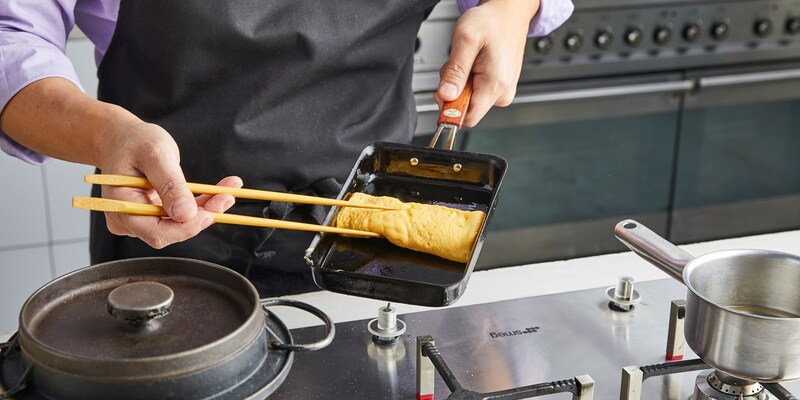 Don’t worry if you haven’t got a rectangular tamagoyaki pan like Hideki – you can use a regular round pan and just trim it to size afterwards. See how this type of sushi is made in our video, then move onto the recipe below. Watch Hideki make his tamago nigiri and get all the tips, tricks and guidance you need to recreate it at home. This video also covers how to cook sushi rice to perfection, but if you've already got that covered skip to 03.09 to get straight into the egg action. Once you've watched the video, follow the full recipe for Hideki's tamago nigiri and create something a sushi master would be proud of. Ready to progress to the next lesson? Click here to learn how to make futomaki – a classic salmon sushi.